Overuse injuries represent approximately 50% of all pediatric related sports injuries. It is also estimated that over half of these injuries can be prevented. So what is leading to this uptick in overuse injuries in the youth athlete population? Well, there are a variety of factors ranging from early sport specialization to poor mechanics and overtraining. An overuse injury is physical damage to a bone, muscle, ligament, or tendon due to repetitive stress without allowing time for the body to heal. Often these injuries go untreated for far too long because the athlete thinks the pain is minor and they try to play through it. Some of the most common overuse injuries are seen in the shoulders of youth athletes. Perhaps the two most common of all these shoulder injuries are Little Leaguer’s Shoulder and Rotator Cuff Tendinopathy. Little Leaguer’s Shoulder differs from Rotator Cuff Tendinopathy because in Little Leaguer’s Shoulder the damage is done to the growth plate in the bone of the upper arm, while with Rotator Cuff Tendinopathy the damage is to the rotator cuff muscles that stabilize the shoulder. Swimming, baseball, tennis, softball and volleyball are some of the more common sports that suffer from shoulder overuse injuries. Most often the cause of these injuries are poor mechanics, too much throwing, and muscle imbalances leading to decreased muscular strength and endurance. Symptoms of these injuries are pain, swelling and the athlete will have trouble raising their arm. Overuse injuries pertaining to the elbow region are typically seen in baseball and tennis players because of repetitive throwing or swinging motions. 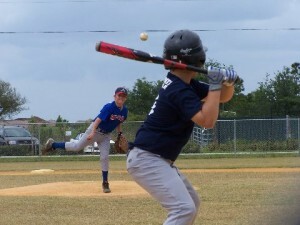 Little Leaguer’s Elbow is the most common example of an overuse injury to the elbow. Similar to Little Leaguer’s Shoulder, this injury involves damage to the growth plates. This injury is caused by repetitive forces (such as pitching) that overload the area. Common causes involve throwing in too many innings, throwing inappropriate pitches for his/her age, or trying to throw too hard. It is important for athletes, parents, and coaches to monitor an athlete’s pitch count and overall throwing during the week and to take note of fatigue. Pain, swelling, and difficulty throwing or gripping items may all be signs of an overuse injury in the elbow. Patellar Tendinopathy, (also known as jumper’s knee because of the correlation with increased jumping and landing frequency) like all overuse injuries, develops over time and arises from the inflammation of the patellar tendon that connects the kneecap to the shinbone. Pain will continue to increase as the injury progresses. Pain is most commonly felt with bending the knee, jumping, running and kneeling. Athlete’s that participate in jumping sports like basketball and volleyball are at the greatest risk, but this injury can occur in any sport. A very common overuse injury which can be seen in athletes of almost any sport is Medial Tibial Stress Syndrome (shin splints). Shin splints result from irritation of the muscles and tendons surrounding the tibia. Possible causes include a number of factors such as a rapid increase in training, poor flexibility, or repetitive contact (jumping or running) on hard surfaces. In the early stages, athletes will notice mild tenderness around their shins. If not addressed, athletes will further damage the area, creating discomfort eventually to a point where movement is greatly hindered. Achilles Tendinopathy is caused by repeated micro-tears to the Achilles tendon, leading to damage and loss of healthy tissue. Seen most frequently in endurance sports like running, this injury can also be seen in individuals who participate in other sports or activities. Symptoms include pain, swelling and tenderness in the calf, along the Achilles tendon, or along the heel where the Achilles tendon inserts. Like the all other overuse injuries there is a connection between increased training volume, poor mechanics and muscle imbalances that can cause this injury. A Femoral Neck Stress Fracture is an overuse injury that can become serious if not properly detected and treated is a femoral neck stress fracture. Females are more likely to develop this injury as their male counterparts and is seen in endurance athletes such as runners. Pain will be felt in the hip or groin area, and activities like running, walking or stair climbing can become so painful that the individual will have to stop. If diagnosed early enough, athletes can reverse the progression with rest and physical therapy. In later development of the injury, an athlete will often be put on crutches for a period of time or even require surgery. Illiotibial Band Syndrome (ITB Syndrome) is another overuse injury that is commonly see in cyclists and runners. This injury occurs from poor hip and core muscle strength, poor mechanics and increase volume of running too quickly. Pain is most commonly felt along the outside of the knee, and may or more not be constant or only with activity. Going back to the beginning of this article, it is estimated that over 50% of overuse injuries can be prevented. So what can you do as a parent or coach of a youth athlete to help keep your son or daughter healthy and in the game? Prior to participating in sports, make sure a health care provider determines you are safe and healthy enough to participate. These can be done through pre-sports physicals and movement/fitness screenings. Also prepare for your sport or activity by maintaining a good level of overall fitness through the year. As an athlete you shouldn’t go from little to no activity for 6 months then expect to go full tilt during your sports season. If you are not in season, participate in other types of physical activities to maintain your fitness level. A good strength and conditioning program can be safe and effective for youth athletes of all ages. While these programs may look different depending on a child’s age and fitness level, a fitness professional or physical therapist can design a safe strength and conditioning or injury prevention program. Make sure you find a professional that has experience working with youth athletes, it’s okay to ask them what their experience working with a particular age group or sport is. After all we should all want what’s best for the athlete. Correcting poor mechanics and addressing muscle imbalances before problems arise are two of the best ways to decrease your child’s risk of having an overuse injury. Early sport specialization is one of the biggest causes of overuse injuries and burnout in youth athletes. Performing the same activity 365 days per year is harmful to the body, particularly while a child is still growing. By participating in multiple sports your body is given a break from the stresses a particular sport may apply to it. Participating in multiple sports also creates a well-rounded athlete by allowing them to develop skills and athleticism needed to participate in different sports. This ties into not specializing too early, but there is a reason even professional athlete’s take time off during the off-season. The former great New York Yankee closer Mariano Rivera was famous for saying that he would not touch a baseball for months after their season ended to allow his arm and his body to recover. A young athlete should take one day off during the week to rest both physically and mentally. They should also take a few months off during any calendar year from one particular sport. This doesn’t mean they can participate in a different sport or activity, it’s actually recommended that they continue to participate in some sort of physical activity, but they should try something new. If you are a runner, try swimming for a few months to maintain cardiovascular fitness while you give your body time to rest. Basketball players could participate in baseball during their off season and vice versa.